Some areas of the body are just predisposed to accumulating stubborn fat. After you have toned the rest of your body through rigorous exercise, this type of fat will stick out like a sore thumb. One area that usually acquires such obstinate fat is the arms. Many complain about flab that hangs from the upper arms when holding their hands on their waist or extending an arm around someone’s shoulder. In women, flabby arms may be accompanied by armpit fat, which likely spills over when you wear a strapless garment. Arm fat can be a major confidence killer for many people, and the one type of fat they would absolutely love to get rid of. Many people become highly self-conscious, so much so that they resort to wearing only long sleeves. With the right exercise routine, it is possible to tone your triceps and biceps, and rid your arms of unwanted fat that has been a sore spot for too long now. 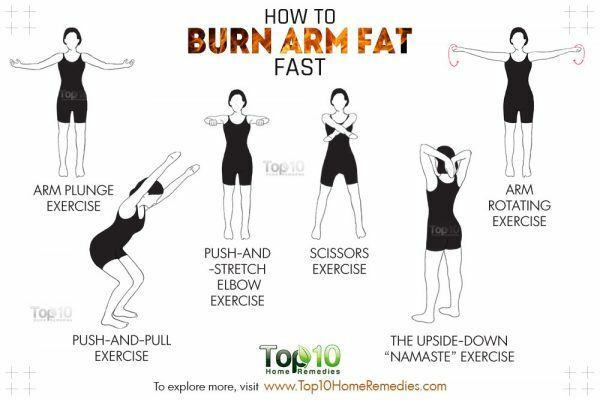 Here are some simple exercises that, if performed regularly and accompanied by proper nutrition, can help you get rid of arm fat quickly. This is a simple exercise that you can perform individually, or as the first exercise to any arm fat-reduction exercise routine. Along with reducing fat, it serves as a great warm-up exercise. Stand upright with your feet slightly apart. Stretch your arms out to each side, holding them parallel to the floor. Ball your hands in fists. Begin rotating your fists to get your arms moving in fast clockwise motions. Do this until you have rotated your arms 20 times. Bring your arms back down by your sides and relax for 15 seconds. Repeat the exercise 10 to 15 times. Do this exercise twice every day, or more frequently if you can. It is a simple exercise that you can perform standing outside your office when you’re catching a break, or in the kitchen while you wait for your toast to pop out of the toaster! This is another simple exercise that can also be performed as a first exercise to a routine. 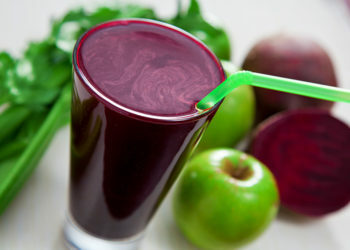 It tones and strengthens the arms. Stand upright with your legs and feet apart. Stretch your arms out in front of you in the shape of the letter “V”. Bring your arms in to cross each other in the shape of the letter “X”. Go back and forth between the “V” and “X” positions 20 times. Rest your arms by your sides and relax for 10 to 15 seconds. Repeat the exercise 10 to 20 times. Perform this exercise twice every day, or more frequently if you can. Like the first exercise, you can do this one just about anywhere. This great exercise lets you flex your triceps and biceps all the way out, slowly molding them into shape. Stand upright with your thighs, legs and feet apart. Stretch your arms out to each side with your palms facing forward. In one sweeping motion, plunge your arms down, turning your palms toward the back. Bring your arms back up, palms toward the sky and elbows slightly bent toward the floor. Repeat these two motions in quick succession 20 times. Bring your arms down by your sides and relax for 10 to 15 seconds. Repeat the exercise 8 to 10 times. Do this exercise twice every day. You can hold a water bottle or a can of tomatoes or soup in each hand. This will allow you to grip onto something, which in turn will squeeze your muscles, giving your arms some extra flexing action. This two-step process makes one exercise routine. The two steps involved are pushing your elbows back and then stretching your arms out. It is a tad more detailed than the others, and hence a good follow-up exercise if it is being performed as part of a routine. It is also a beneficial as a standalone exercise. Stretch your arms out to each side. Ball your hands in fists, roll your elbows in and level your fists with your armpits. Push your elbows back so that your fists face the front. Immediately, unfold your elbows and stretch your arms out to each side again. Repeat these steps quickly and repetitively 20 times. Do this exercise twice every day. This exercise is also great for some advanced triceps action. Stand upright with your arms extended toward the sky, straight above your head. Fold your arms behind your head, bring your palms together in an upside-down “Namaste position”, and push your palms down, flexing your arms. With your palms still together, bring your arms up so your palms are level with the middle of your head. Another effective exercise to help you tone your flabby arms is push and pull exercise. Stand with your thighs and legs apart and bend down slightly at the knees so your buttocks are sticking out backwards. You should look like you’re going to sit down in a chair. Lift your arms up diagonally in front of you, and immediately bring your arms back down by your waist so your elbows fold at your sides. Repeat these two motions in quick succession 20 times. The motions should simulate pushing and pulling at something situated diagonally at the top of your head. Stand up straight again and rest your arms by your sides for 20 seconds. Repeat the exercise 5 to 10 times. Perform this exercise twice every day. This exercise can tire the legs, so make sure you’re taking sufficient breaks to rest your body as you ease into this exercise. Push-ups are a great way to tone the arms. However, here’s what you should keep in mind: Push-ups will work well as part of an overall workout routine that combines aerobic exercises, such as brisk walking, jogging, running and swimming. This is because there are two kinds of arm flab –flab resulting from loose skin and flab resulting from fat deposits. Push-ups are effective for the former as they essentially tighten skin and tone the triceps. Push-ups are not as effective at burning fat, and toning and slimming the arms requires the support of aerobic exercises. Sit on the floor with your legs folded inwards from your knees and your buttocks resting on top of your lower legs. Assume the dog position by placing your palms firmly on the ground, fingers facing forward, and rising up on your knees. Slowly lift your knees off the ground so your arms are straight. Bend your elbows and lower yourself until your chest is 2 to 3 inches from the floor, then push yourself back up. Repeat this exercise 25 times. Do this exercise twice every day, increasing the number of push-ups as you get stronger. Instead of raising your knees off the ground, you can start by keeping them on the ground and lifting them after you have done this exercise a few times. Beginners may find their hands and/or legs hurt a little when they are starting out. This is natural as your body is still getting used to the exertion. For this reason, beginners may start by doing this exercise only once every day. Keep your buttocks up and tight when you lower yourself toward the ground. Whether you’re performing push-ups on the floor or against a wall, the same rules apply. So do this exercise in conjunction with other aerobic exercises for maximum benefit. Stand facing a wall with your legs slightly apart. You should stand at least the distance of an arm’s length from the wall. You can go beyond that for a more advanced workout. Stretch your arms out in front of your chest, palms touching the wall. Bring your palms closer to each other for a small grip that will stimulate your triceps more. Bend forward toward the wall so your elbows fold at the bottom, your body goes diagonal and you are standing on your tiptoes with your heels raised. Push back from the wall again, straightening your arms and standing back on your heels. Repeat these two motions in succession 20 times. Bring your arms back down by your sides and relax for 10 to 15 seconds. Repeat this exercise 20 times. The chair dip exercise specifically targets the muscles of your upper arms, called the triceps, and helps tone any loose or sagging skin in that area. Place a chair against a wall and sit on the edge of the chair with your arms gripping the edges of the sides of the chair. With your heels firmly on the ground and apart from each other, tighten your grip on the chair, and bring yourself forward so that your buttocks are in the air and off the chair. Holding the chair, lower your body toward the ground and bring yourself back up. Repeat these motions 20 times. Seat yourself back on the chair and relax for 30 to 60 seconds. Do this exercise twice daily. Keep your knees closer to your chest when performing the exercise for better balance. This exercise not only tones your triceps in a matter of days but also strengthens your arms, making them fitter for further exercising. Therefore, this exercise is a must-do. Kneel down on the floor with your hands by your sides. Raise your right knee so the sole of your right foot is flat on the ground, while your left knee remains where it was. Lean slightly forward and raise your right arm behind you, bent at a 90-degree angle. Straighten your right arm behind you and stretch it as far behind your body as comfortably possible. Fold your elbow back to the position assumed in the third step and stretch it back again. Do this back and forth 15 to 20 times. Switch legs and repeat the steps. Repeat this exercise 5 to 10 times. Perform this exercise twice a day. Check out some more arm exercises in this video. You can do any of these exercises every day as many times as recommended for each. You can also mix these exercises up and create a routine you can perform every other day. A routine will typically begin with one of the simpler exercises described in the beginning of the article, and later move into the push-ups, ending with the simple exercises again. Be sure to take ample breaks in the middle.Consult your fitness trainer if you are inclined to do a combination of these exercises as a routine. He or she will be able to design a personalized routine for you, taking important factors like your health, body mass index (BMI) and stamina into consideration. Allow yourself plenty of rest as your body needs time to cope with the lactic acid that builds up between your muscles after exercise. You also do not want to over exert yourself, harming your health, which will only hamper your hard work. Eat healthy. None of these exercises will work if you’re hogging on junk food. Walk, run, jog, swim, take the stairs – do plenty of aerobic exercises. Thank you. Would like to get rid of wings on upper arms. I must say ol d exercises are effectively effective. All very good exercises &effective as well. You have explained excellentlying. It was a very much genuine and informative.thanks. Good and simple to be followed easily. Omg thank you for these helpful tips. I was just in the mirror examining myself last night and woke up to this! Thank u so much. Am trying my best to get rid of my iyabo under arm.